Claudio Ranieri says his focus is on improving Fulham's defence as he prepares for his first match as manager when Southampton visit next Saturday. The Italian replaced Slavisa Jokanovic as manager on Wednesday and inherits a side who have conceded a league-high 31 goals this season. But shoring up the defence is something Ranieri did to great effect in his previous PL role at Leicester City. His Foxes team kept 15 clean sheets, conceding only 36 times on the way to winning the 2015/16 Premier League title. 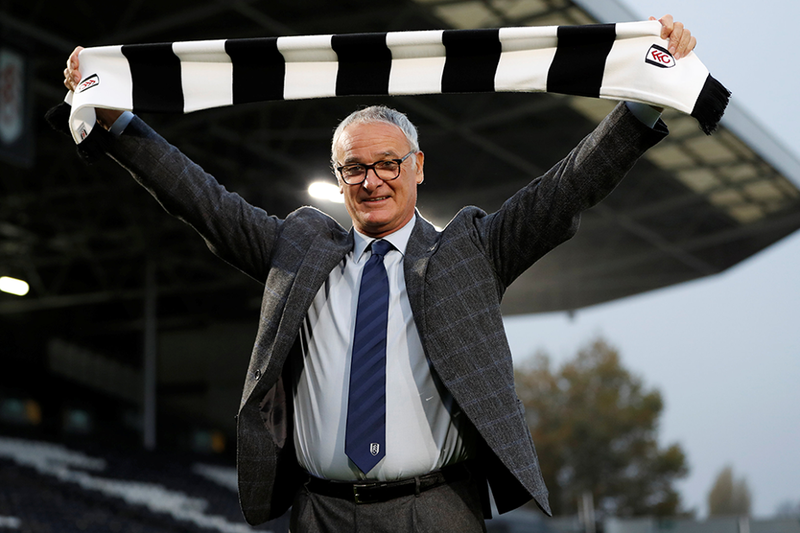 "As an Italian manager, the defensive way is the best method of the team," Ranieri told Fulham's official website. "It is important to have a strong vision of how to work defensively. "It's not only the full-back, or the goalkeeper. When you attack, you attack as 11, when you defend, you defend as 11." Ranieri has been encouraged by the football produced by Fulham this season, even if they are bottom of the table. "There is plenty to work with here," he said. "I watched some games against Manchester City and Liverpool and the quality is high here."